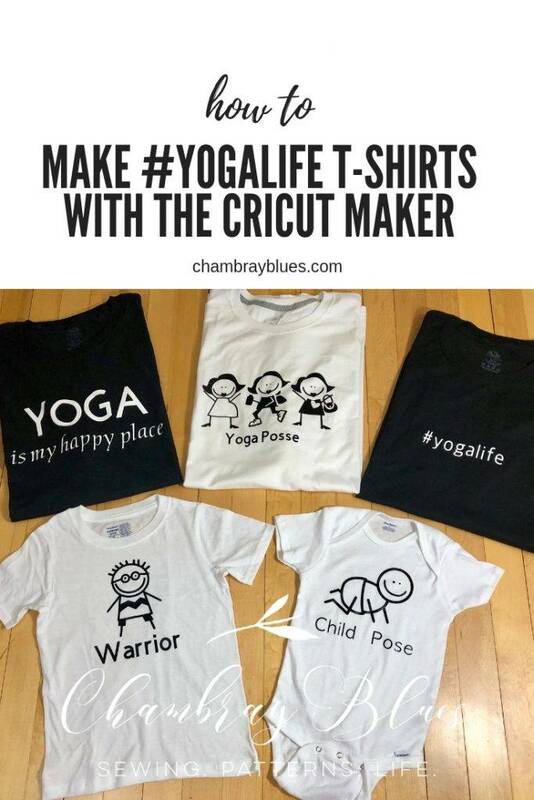 T-shirts are part of our everyday wardrobe, here’s how you can make your own #yogalife shirts with your Cricut Maker! 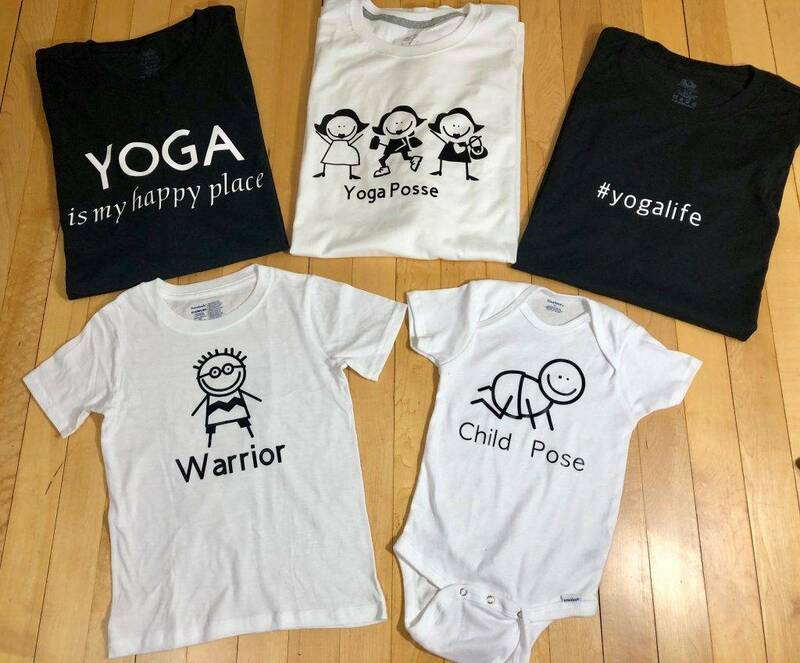 This fun t-shirt collection has something for the entire family! T-shirts are something we wear every day. I often wear t-shirts to bed, to the grocery store, and certainly to yoga class. Sometimes I sew my own, but I have found that by using the Cricut Maker I can be creative and not get overwhelmed by yet another sewing project. 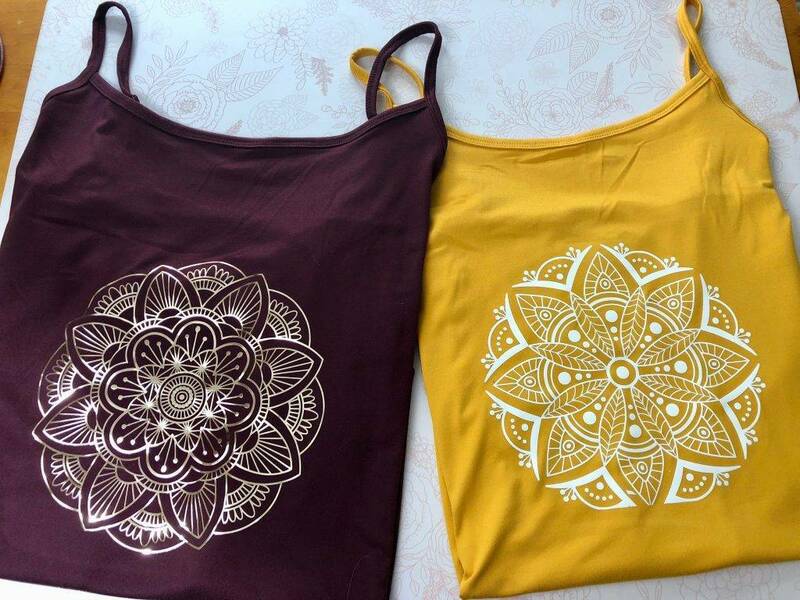 Making t-shirts has become a phenomenon as you can see if look at the Cricut website. Some folks even make t-shirts as part of their small home businesses. Cricut has been asking me to share my T-shirt collection designs with you, all you have to do is login to Design Space on the Cricut website, and click Make it! This post is sponsored by Cricut. Any opinions given are completely my own, for a complete list of rules see the disclosure page. Camisole style t-shirts can be found at your local Walmart. My blank T-shirts come from the shelves at Walmart. I am sure you can find them in a store near you. I look for different styles and colors but keep in mind most t-shirts shrink at least 10-20 percent in the laundry. It is best if you can wash and pre-shrink your shirt before putting the graphics on it. 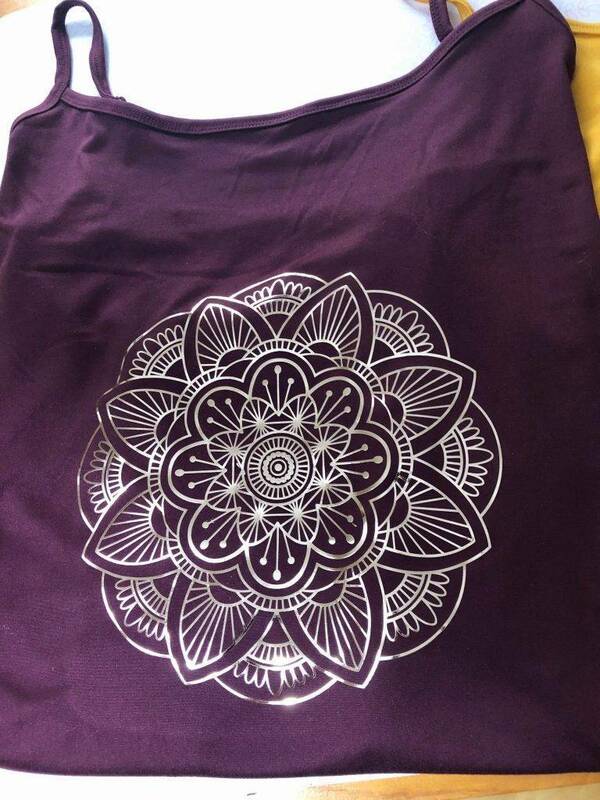 The Cricut HTV (Heat Transfer Vinyl) Iron-On vinyl is a very impressive product. It adhere’s easily and washes well to cotton and blended fiber shirts. However, for durability, drying them on high heat is not recommended. Tumble dry on low or hang dry for the best results with the colored vinyl. The metallic vinyls are more delicate and should not go in the dryer at all. I do not recommend using generic vinyls in any form, they will not hold up as well and you will wish you had used the Cricut brand. Choose your iron on vinyl color. Cut the vinyl to fit on the 12″ x 12″ mat. Place vinyl with shiny side down on the mat. Roll with a brayer to smooth out and remove any air bubbles. Insert the mat in the Cricut, follow the prompts for cutting the vinyl. Be sure the “mirror image” button is selected for designs with text. Remove the vinyl from the mat after cutting. Weed out the negative space in the design with the weeding tools. I find it’s easiest to do this under a window with good light. You can tape the vinyl to a bright window for weeding out the medallion designs that are more complicated. Tip: Weed from the outside of the design towards the interior of the design in a circular motion. This keeps you from getting confused, making a mistake and removing parts of the vinyl that are needed for the design. When the design is more intricate, this is even more important. Those medallions take a bit of patience to weed out! I enjoyed working on them while watching tv. 4. Cut away any excess plastic from around the design. Gently, place your design on your shirt to determine placement. Use 2-3 finger widths as a guide under the neckline determine where to put the graphic. Be sure your design is centered left to right, use the armpit area of the shirt for a visual to center the design. 5. Heat up your Easy Press to 320 degrees, or heat your iron on the hottest setting. Cover the design with a pressing mat or press cloth, press for 20 seconds. Turn the shirt over, cover with the pressing mat and press an additional 20 seconds. 6. Remove the mat, let the shirt cool slightly. Then gently pull off the plastic vinyl backing being sure all vinyl is adhered to the shirt. Your shirt is now ready to wear! Here’s how I design my t-shirts in the Cricut Design Space. It’s very easy to use and so much fun that I had to make a video to show you! 2.Depending on what size you are making you may have to adjust the size of the graphic a bit larger or smaller for your shirt. Then, follow the directions for the adult shirts listed above. I use the same 2-3 finger placement technique under the neckline to place the graphics. I would love to see photos of your shirts on social media! Show them to me using the #chambraybluesshirts for a chance to be featured on Instagram or join our Chambray Blues Facebook group here for more tips and inspiration! If you are a blogger and would like to join the Cricut Affiliate program, click here.